House Minority Leader Nancy Pelosi told the stories of "Dreamers" on the House floor for hours on Wednesday. She was making use of a special House privilege afforded to party leaders known as the "magic minute." Pelosi said earlier she wouldn't back a bipartisan Senate budget deal unless House Speaker Paul Ryan committed to hold a vote on immigration. House Minority Leader Nancy Pelosi spoke on the House floor for hours on Wednesday, telling the stories of young unauthorized immigrants known as "Dreamers" and demanding that House Speaker Paul Ryan commit to holding a vote on a legislative fix for them. Pelosi's lengthy speech wasn't a filibuster, but a privilege granted to House party leaders known sometimes as a "magic minute." One aide told USA Today that they couldn't recall Pelosi using the privilege in the last dozen years. "I don't know when we would have another opportunity that matches today" to lock Ryan into a commitment, Pelosi said. "Let Congress work its will." Meanwhile in the Senate, leaders announced a major bipartisan budget deal that would add more than $300 billion in federal spending over the next two years, but notably excluded any of the immigration-related issues that have roiled Congress for months. Lawmakers have been working to enact legislation that would codify the temporary protections offered by the Deferred Action for Childhood Arrivals program (DACA), which President Donald Trump is terminating. The issue has gained increasing complexity as Trump has added demands such as border security, an end to the diversity visa lottery, and the elimination of certain family-sponsored immigration visas. 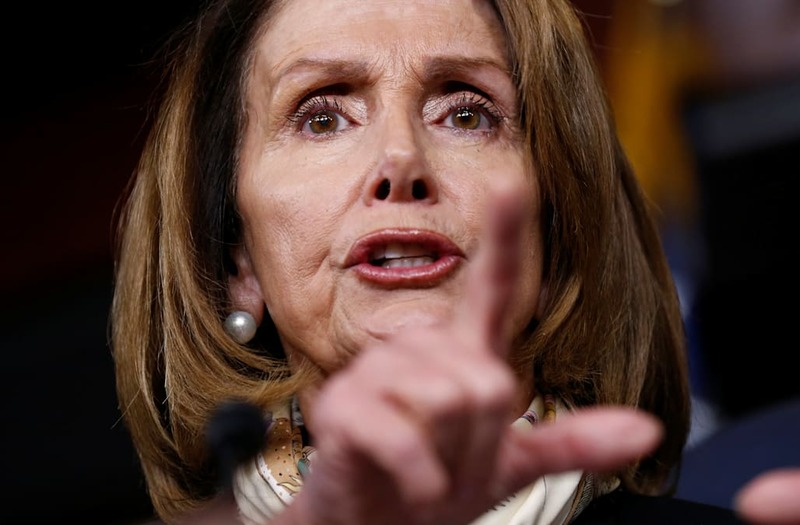 Pelosi said she will not support the Senate's budget deal unless Ryan commits to holding a vote on immigration in the same way that Senate Majority Leader Mitch McConnell did. "This morning, we took a measure of our Caucus because the package does nothing to advance bipartisan legislation to protect Dreamers in the House," Pelosi said in a statement earlier on Wednesday. "Without a commitment from Speaker Ryan comparable to the commitment from Leader McConnell, this package does not have my support."